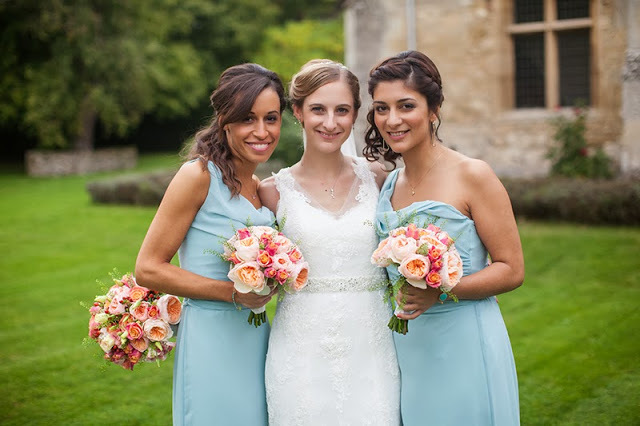 Christina and Juspal's stunning coral and aqua wedding at Notley Abbey - Joanna Carter Wedding Flowers | Oxford, Oxfordshire, Berkshire, Buckinghamshire and London. 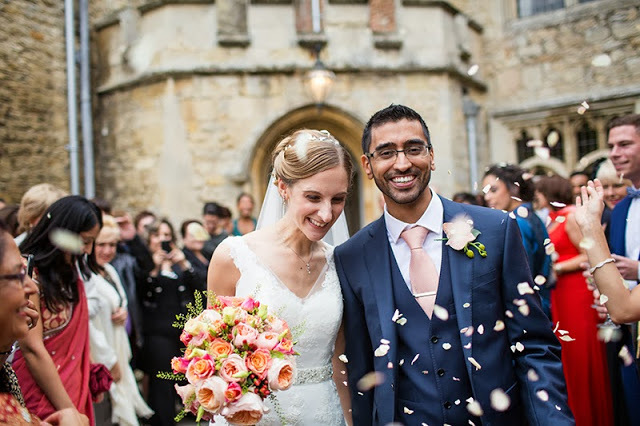 Christina and Juspal got married at Notley Abbey, one of our favourite venues. 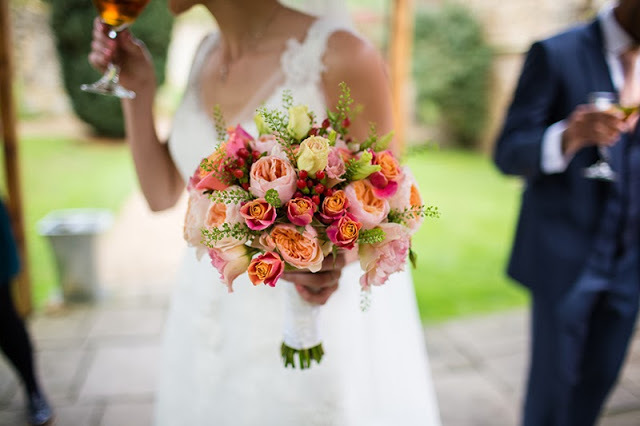 Their colour choice was strong and rich and worked brilliantly against the backdrop of the stone barn and the cream walls of the main house. 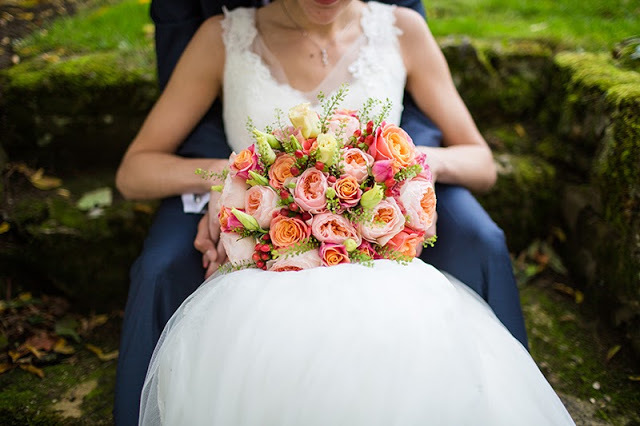 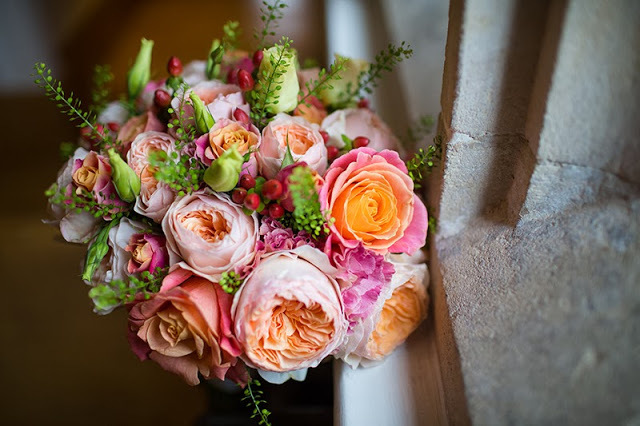 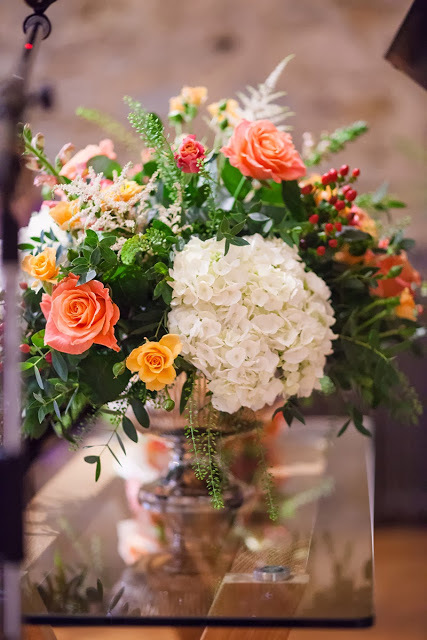 Christina fell in love with David Austin’s peach juliet rose so we used this as the basis for the bouquets, mixed with miss piggy coral roses, peach pink lisianthus, coral hypericum berries and thlaspi green bell to loosen the whole arrangement. 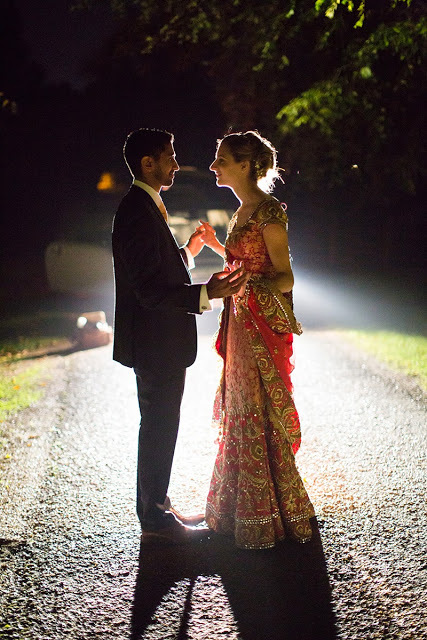 It was a stunning combination. 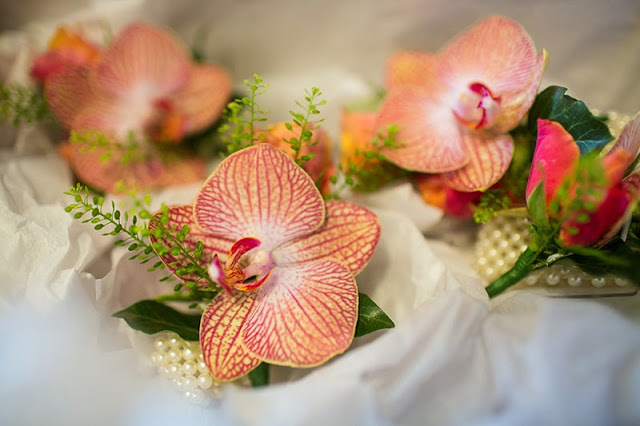 For the Mother of the bride and Groom and other family members we made pretty wrist corsages on pearl bracelets using a coral phalaenopsis orchid bloom, rosebuds and thlaspi. 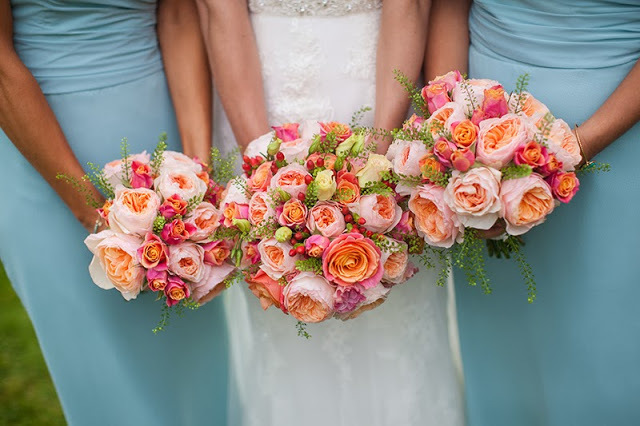 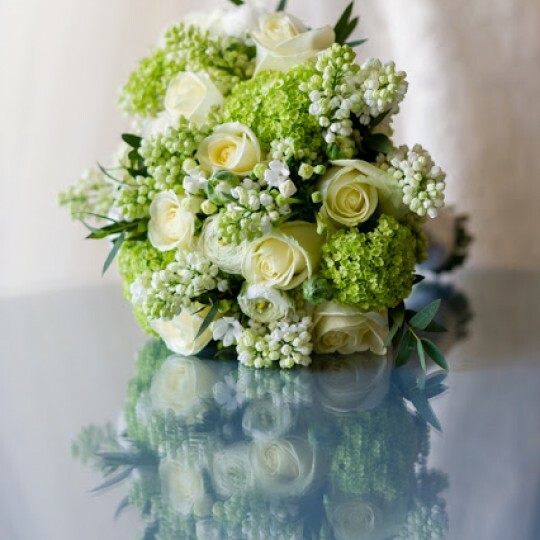 The bridesmaids had simplified versions of Christina’s bouquet. 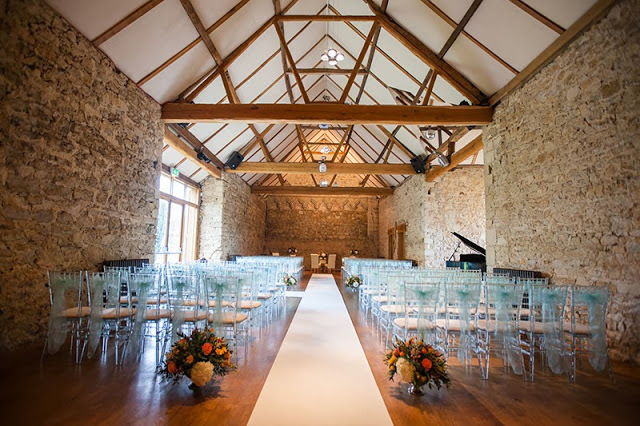 The elegant ceremony room at Notley Abbey with sheer aqua bow on the chairs and large silver rose bowls filled with a mix of coral, peach and ivory flowers placed at intervals down the aisle before being moved to the reception tables in time for the wedding breakfast. 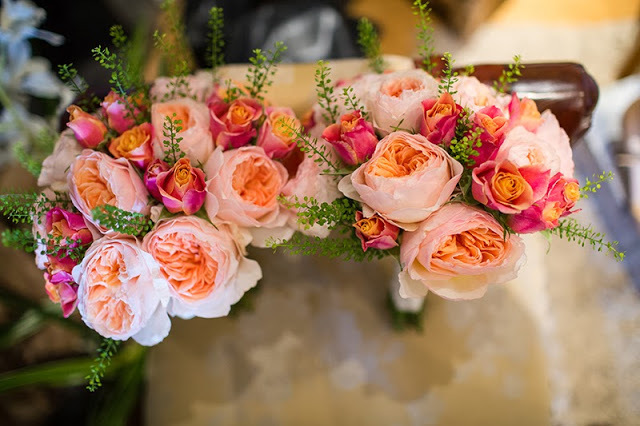 One of the rose bowls placed on the registrar’s table during the ceremony. 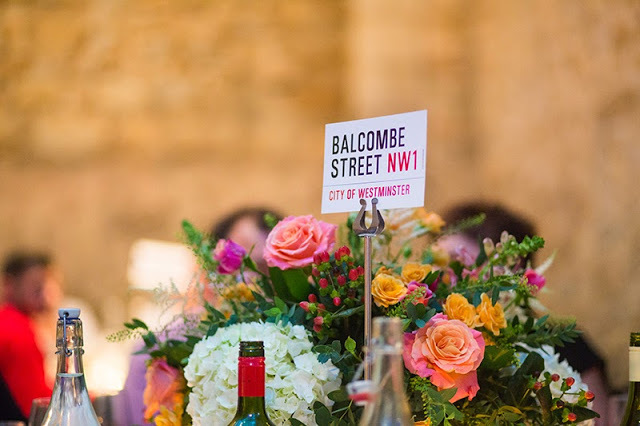 Even the Pimms at the drinks reception seemed to fit the colours of the day! 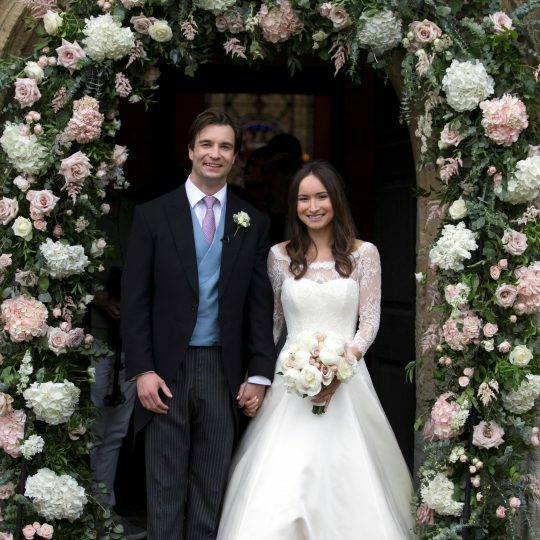 The lovely couple just after the ceremony. These photos show just what a stunning combination the coral and aqua colours made together. 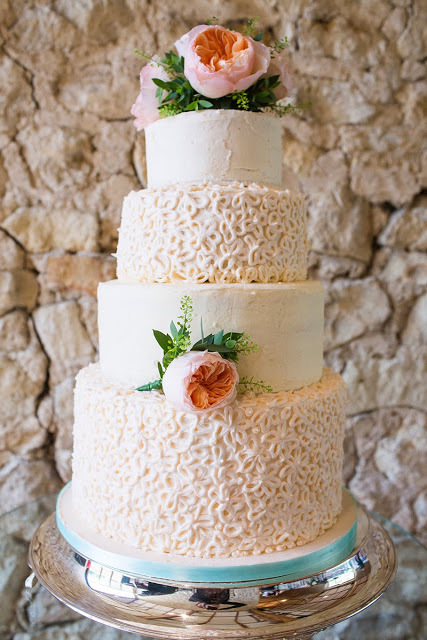 Another lovely touch was Christina’s beautiful wedding cake which was made by Louise from www.alittlepieceofcupcake.com . 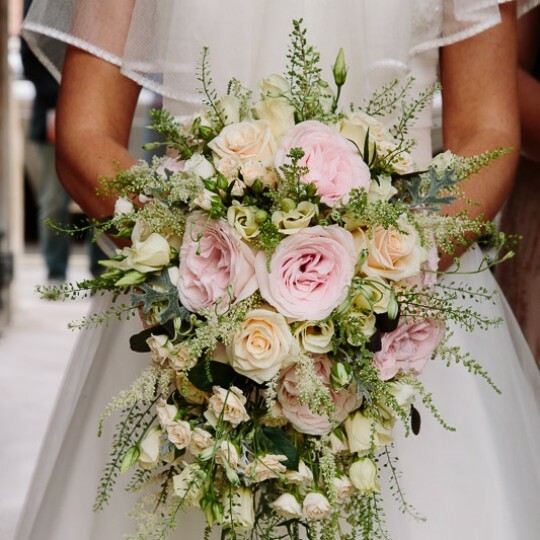 All it needed were a couple of the lovely David Austin roses to set it off perfectly! 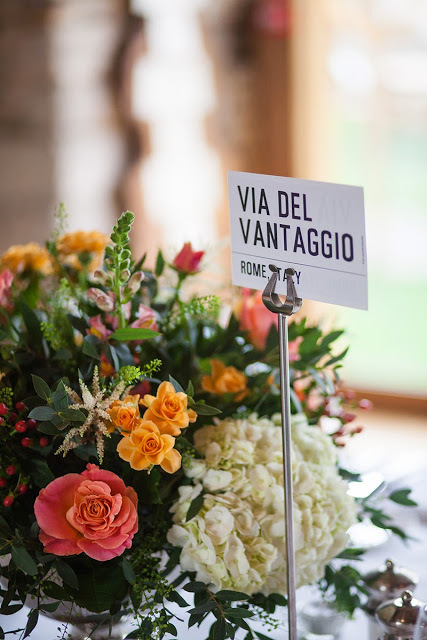 The rose bowls on the tables each one of which was named after a road or street. 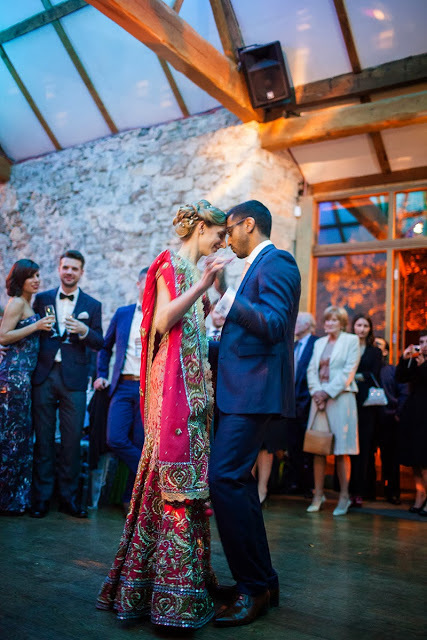 In the evening Christina changed in to another stunning dress, this time a rich coral coloured embroidered sari.